The innovative and exciting 6,000 sq. 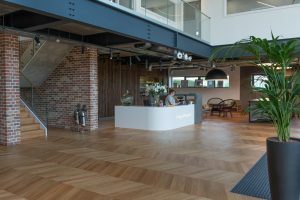 ft ‘V4 World’ enables the company to showcase its luxury flooring products and wall panels to customers, architects, specifiers and designers in settings that demonstrate how the products can give homes the wow-factor. It also features the innovative and on-trend Concreate floor and wall panels and the Panneau decorative wooden wall panel collection, both of which are a favourite of interior designers. The ultra-modern showroom is the first phase of the company’s ambitious growth plans, which will also see the opening of a showroom in Clerkenwell, which is renowned for being the home of trendy design centres, followed by a centre in the North of England, with Manchester an option under consideration. 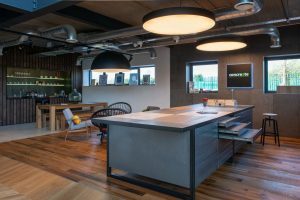 The new centres will also support the dealer network with a wider range of large samples for customers to view and product training facilities, including the fitting of the various floor and wall products. 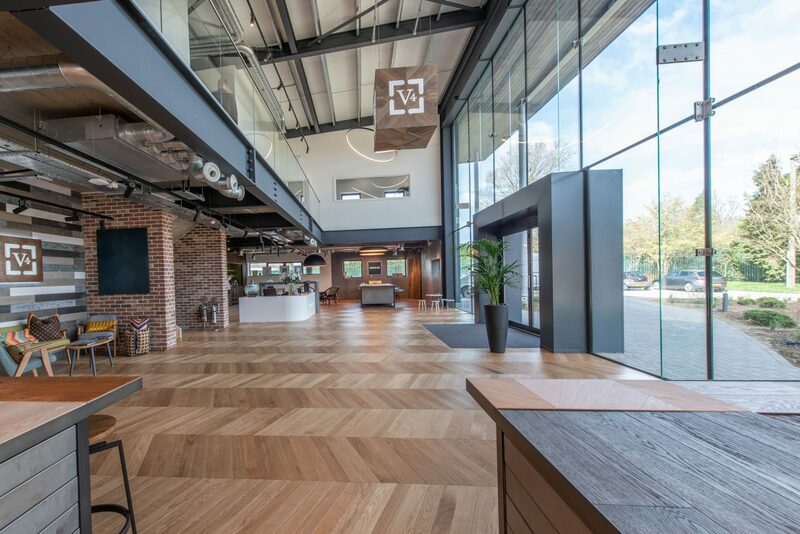 Chris Vincent, managing director of V4 Wood Flooring, said: “It is important that architects, interior designers and specifiers are able to see the products in a setting that has been specially designed to bring to life the creative possibilities of our cutting-edge floor and wall solutions.